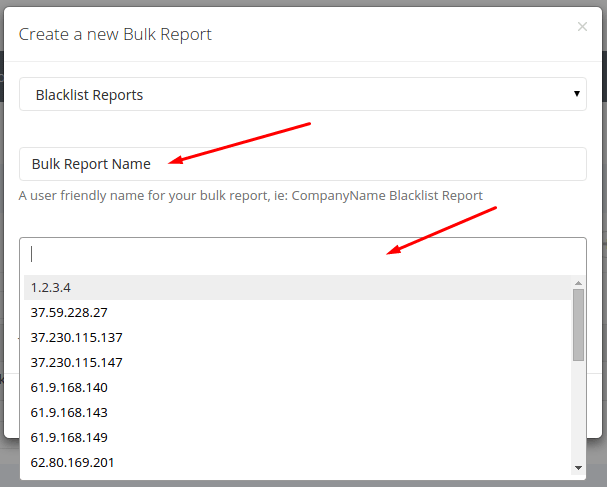 Start by accessing the Bulk Reports page from your client area. 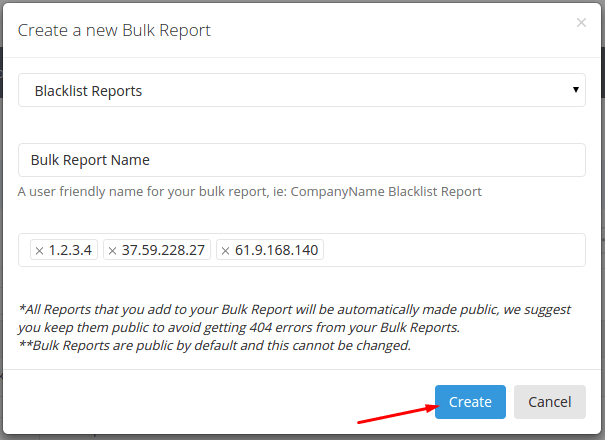 Click the “Create Bulk Report” button. In the pop-up, be sure to select the type of reports you wish to include in your Bulk Report. Give a friendly name to your Bulk Report and select from the drop-down all of the reports you wish to include. When done. Just click the “Create” button. Your Bulk Report has now been created.